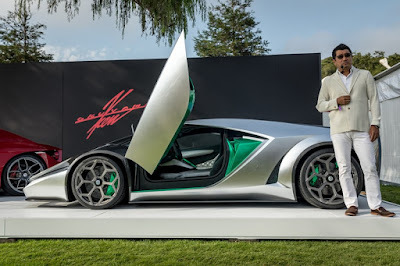 Ken Okuyama again showed off his latest design car which was named 'Kode 0' at The Quail Motorsport Gathering 2017 in Pebble Beach, California after previously showing a glimpse of the supercar's muzzle in cyberspace. 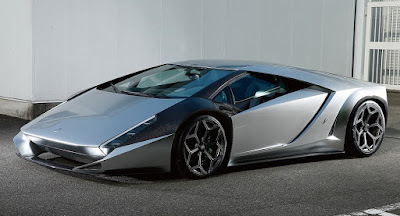 The automotive enthusiasts must have known well Ken Okuyama as one of the Japanese famous designers who have long been involved in the world of automotive design. The man who was born in 1959 was recorded as ever joined the Pininfarina design house before finally founded Ken Okuyama Design Company. In addition to Kode 0, another supercar designed by him is Kode 57 which was launched in 2016 and presently owned by the world boxing champion Floyd Mayweather. 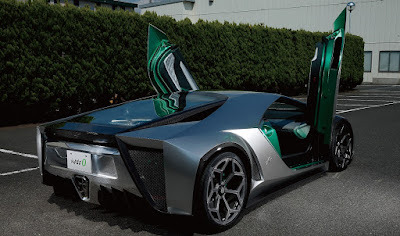 The latest Ken Okuyama supercar takes inspiration from a classic supercar that carries the theme of the 1970s and if observed further, we can see clearly details of the design language from Lancia Stratos Zero, Lamborghini Countach, and Ferrari Moduro. As quoted from Carscoops, he modified the car with the theme of the 1970s as his tribute for the famous automotive designer Marcello Gandini. 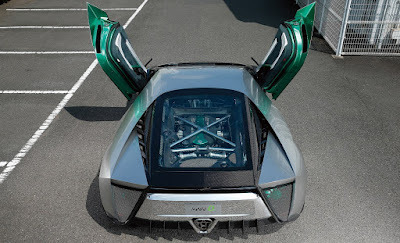 The Kode 0 is a car built on the basis of Lamborghini Aventador. 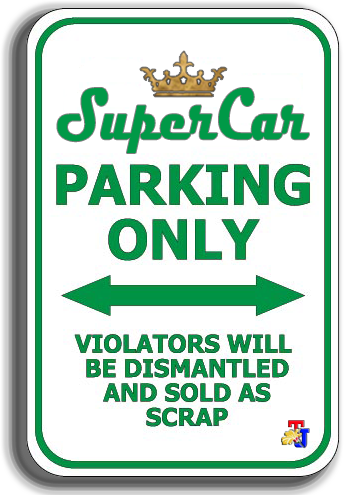 Because Ken takes the philosophy of one line draw on the car to make it appear in a more aggressive style, and fully of sharp corners. Not surprisingly, if the car's appearance is now much different from the original version of Aventador. Other details that appear on the car are the unique front splitter, longitudinal LED headlight, 20-inch Novitec alloy wheels wrapped in Pirelli P-Zero tires and triangular shaped exhaust accompanied by a huge diffuser on the back. Meanwhile the overall body of the car is made using carbon fiber material combined with monocoque chassis which is also made from the same material. It makes the car becomes very light. Now the net weight of Kode 0 is about 1,550 kg, it lighter than the original version of Aventador. 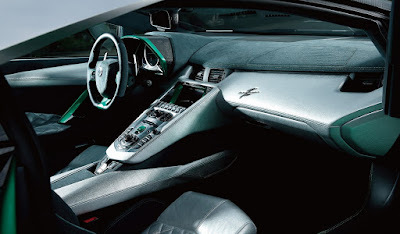 As a driving source is still entrusted to a V12 engine with capacity of 6,500 cc that is able to make the car bolted fast on the streets by generating the power of 697 horsepower and 690 Nm of torque. This power is channeled through the Aventador's ISR 7-speed transmission system and is able to accelerate from rest to 100 kilometers per hour in 2.9 seconds.